Cotton front and thick white towelling back or fine red fleece if you prefer. 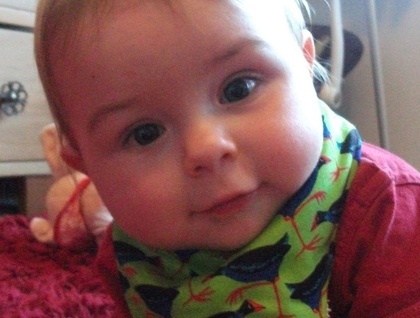 Very absorbent great for when your child goes through that dribble stage. Metal domes with two size settings to fit 0- 2 years. No messing around with ties or Velcro. Once these are on they will stay on. Top stitched for added strength and that finished touch. Machine washable. 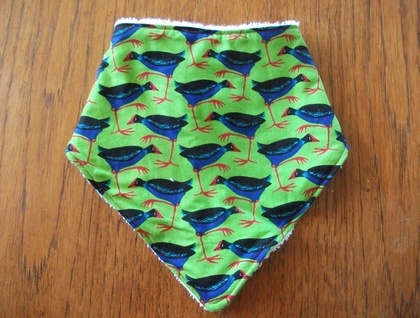 I can also make a matching bib, burp cloth and taggie blanket if you like. Just let me know and I will set up a listing for these.